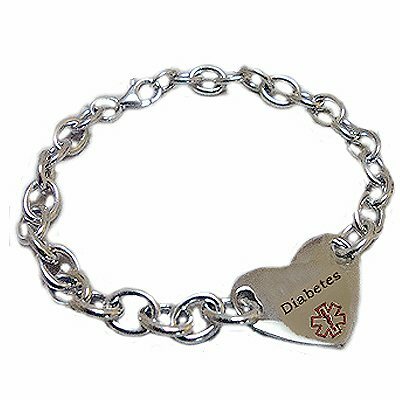 "Diabetes" engraving is a font sample only- your's will be custom engraved with whatever you type in! Sizing: Take a snug wrist measurement and add one inch for the correct size in this style. Snug wrist + 1" = correct size.